MPINCC “Supplier of the Year” Winners! 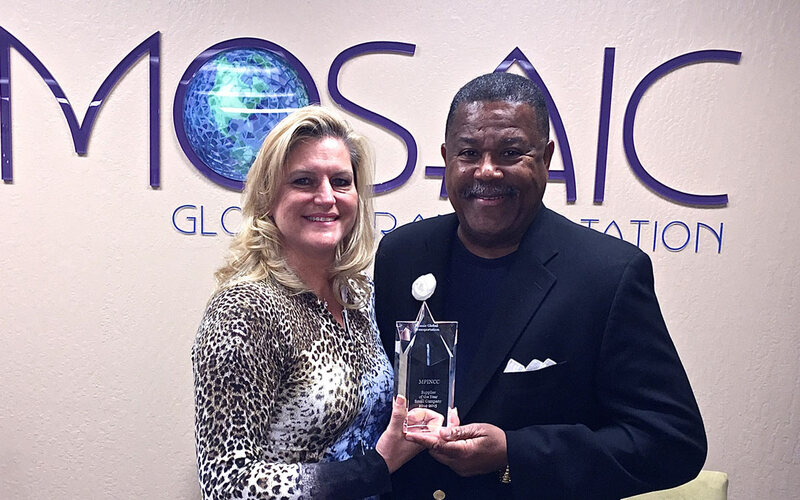 We are so honored to have won Meeting Professionals International – Northern California Chapter‘s Supplier of the Year award! We have been working with MPINCC for over 7 years and have loved being able to partner with them. You can see the full list of winners here. We wish a big congratulations to all of our fellow winners! Mosaic Global Transportation is a recognized leader in the chauffeured transportation industry. Mosaic operates a diverse fleet of more than 41 vehicles ranging from Lincoln Town Cars to Stretch Limousines, SUV’s, Vans, Mini Coaches and Motor Coaches in their fleet. In addition to serving the Greater San Francisco region, Mosaic provides worldwide chauffeured transportation services in more than 440 cities across the globe.